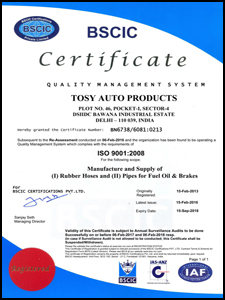 Tosy Auto Products is a licensed manufacturer, supplier and exporter with unmatched expertise in offering premium quality Fuel, Oil, Air, & Brake Hoses, Power Steering Hoses and Pipes as per latest market standards. Since 1971, we have been banking on our production and quality excellence in the automotive industry to cater to needs of clients based across multiple industrial sectors. 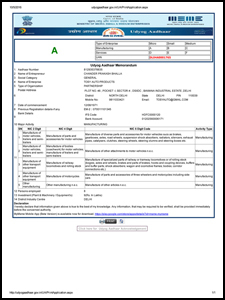 All products are engineered under strict vigilance of experts and delivered at highly competitive rates in a time bound manner. We also have a wide export market and offer products to many major international clients. 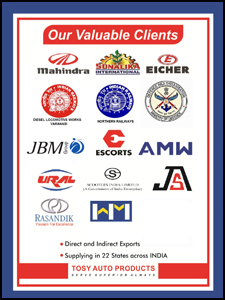 Today, we are a renowned industry name with memberships from many prestigious bodies like Engineering Exports Promotion Council (EEPC), Micro Small or Medium Enterprises (MSME), Manufacturers Association Bawana, and Automotive Component Manufacturers Association (ACMA). Steel Tube (Seamless, CDW, ERW).